I will gently confess to cravings, fixation and dependence. I have that kind of personality… black and white, filling voids, needing reassurance. There is dark and base servitude to addiction. I am not going to spill personal secrets but those that know the inner Fox have witnessed the flickering excesses of my backstory. I have always been obsessed by the mechanics and heady lure of addiction: booze, nicotine, coke, food & starvation, heroin, speed, a veritable Golgotha of pills – sleeping, relaxation, anxiety, uppers, mood enhancers, diet… all used to bury a multitude of selves. In an alternative reality, we walk slurring alongside addiction, in the hope we pass unnoticed. But we are noticed and considered weaker somehow, fragile, unable to resist the challenges of existence. The truth is, many of us are trying in our own injured ways to exit worlds we consider unreal and punishing. We all need a certain degree of dependence. Some of us just need more than others. The repetition and demands of obsession are both comforting and destructive, yet many of us would not change the way we are. I admit to finding glamour and subsidy in the relentless beck and call of addictions, my personality finds inherent truths in psychodrama and darkness. Writing as much as I do assuages the cold and shines a little light into neglected corners. But I miss my dolls, the plethora of pills, the narcotic dalliances that ran through boozy woozy club nights. Strangers with baggies, smoke and crashing beats. The why always seemed immaterial. I just felt alive. Addiction as a theme for scent seems odd and somewhat frivolous. But bear in mind that many of us are quite obsessed by scent in an alarming way; collecting, hoarding and living in a strange hyper-sensory world that we expect only other scent lovers to truly understand. Reading blogs, the language of addiction is seeded through reams of text. We are addicted, hooked, obsessed. We suffer withdrawal from our favourites; scents are narcotic, druggy, swooning, and hypnotic. We sniff, inhale, crave and lose ourselves in a dizzying array of olfactory hits. Scent becomes addiction, an all-consuming passion; we are consumed by the revelations of effect. As wearer-addicts we are searching for the euphoria of elusive beauty. Some search for rarity, exclusives, vintage collateral and the golden fleece of original formulations. Others seek the perfection of materials, the purity of perfectly realised notes and clarity of form. Then there are those darker children seeking experience, innovation, oddity; something that will fill a waxing/waning void. You only have to scan blog threads and drop into fragrance forums to notice how besotted some people are, how they are driven by a need to scent their skin and personal air with glorious profound elixirs. I must admit that of all the niche houses to really confront a concept of addiction head on, I was not expecting it to be Anaïs Biguine’s Jardins d’Ecrivains, a beautiful, romantic brand with two major obsessions: classic literature and gardens. But I have blogged on Anaïs before (I wrote on her libertine night cologne La Dame aux Camélias) and should have known better. Beneath the sensual revelling in fin de siècle literature and belles lettres, she has never shied away from the darker, more ambiguous side of her beloved classics. Wilde, Orlando and George are all offbeat and challenging fragrances with very ambiguous personalities. Wilde in particular has the most incredible upfront musty grape note that really startles the senses. 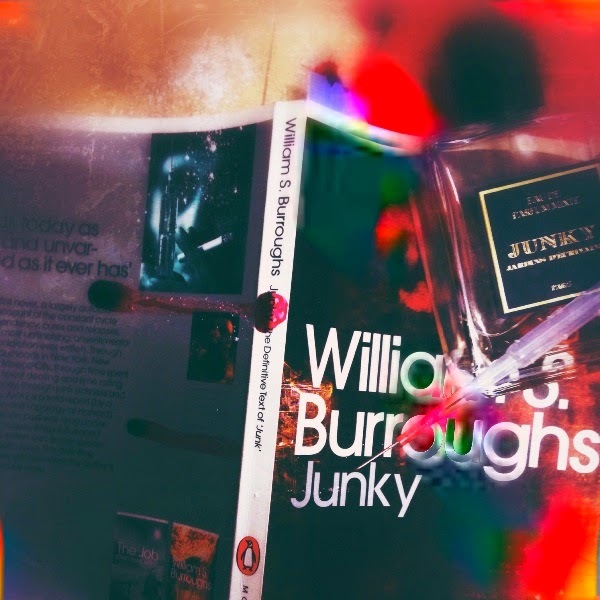 Junky is I think her finest work, a darker chapter for perfume addicts, examining the revelation of effects on jangled craving senses. The scent seems to mimic the stages of addiction; the initial hit, needles tearing holes then the slow burn of euphoria followed by the descent into the cold light of comedown, waking on unknown floors. An unnerving finality for a strange and hypnotic scent. 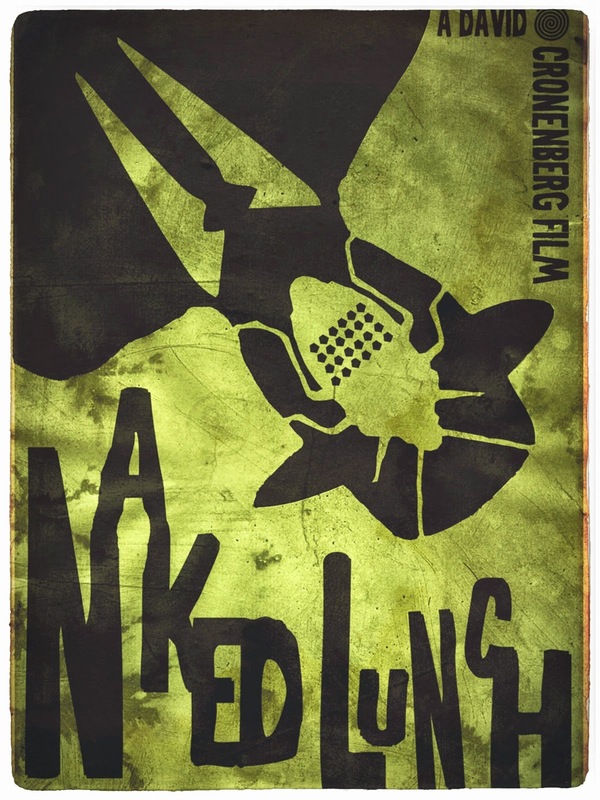 The dramatic opening of Junky is fumed through with a piquant cannabis accord. Mixed with the peaty foliate fold of galbanum and a plush rosewood note, cannabis sativa billows off the skin with an inky intensity. I smell hops and turned compost as it develops and a peculiar rusted greenhouse whiff of neglected plants and plant food. Underpinning this is a tang of sweat; sugared cumin, although this is not a listed note. It takes a while for this shadowed hazy top to settle, it is pretty pungent, swirling around the senses and probing the memory. Then suddenly the floral notes flare open like candles lit in darkness. An anguished violet, iris and an odd creamy gardenia all coalesce into a languid interlude with just enough druggy vapours around the edges to remind you that this is still a scent called Junky. It is this intensive and distinctive floral stage that places the perfume firmly in the Jardins d’Ecrivains state of mind. The thing I adored so much in La Dame aux Camélias was the bold soapiness of the white flowers laid down over the underlying boudoir suggestion of sexual transactions. Anais is not afraid to use this floral flirting in her perfumery. Gigi reeks of it and the medicinal complexities of George need the floral tones to counterbalance the weird bandage and tobacco facets. The sensation of white flowers in Junky is a little disconcerting, especially after the genuine druggy hit of the top. But Junky requires patience and attention to detail. Like any hit flexing its grip, the whiteness of euphoria fades, peeling back to expose darker steps downward. The mollifying of night is needed to ease the comedown, cushioning the murkier notes loitering in the corners of Junky’s unexpected design. Like roses growing through barbed wire and abandoned concrete seas, the bouquet of iris, gardenia and rose serves to illuminate any difficult and uneasy moments in the scent’s narcotic procedures. Lets call them love, light.. hope. There is no disputing the disconcerting nature of this erudite and clouded scent. The cannabis accord is potent stuff and amplifies on skin. This is no dirty hash, skunky interpretation though, Anais presents us with a romanticised, bookish variant; the wayward glamour of drugs seen through the eyes of writers like Burroughs, Bowles, Baudelaire, De Quincey and Keats. Unflinching at times but an intrinsic part of their lives and arguably what infused their work with greatness. The doomed romance and inevitability of decline inherent in literary narcotic literature is a potentially morbid theme for a fragrance. And drugs kill. Over and over. The industry from growers to pushers, whacked-out students and the stress-riddled business classes are all just tiny sweating facets of a grim and mortal industry that kills millions every year in overdoses, turf wars, street trading, smuggling and domestic worn down exhaustive violence. 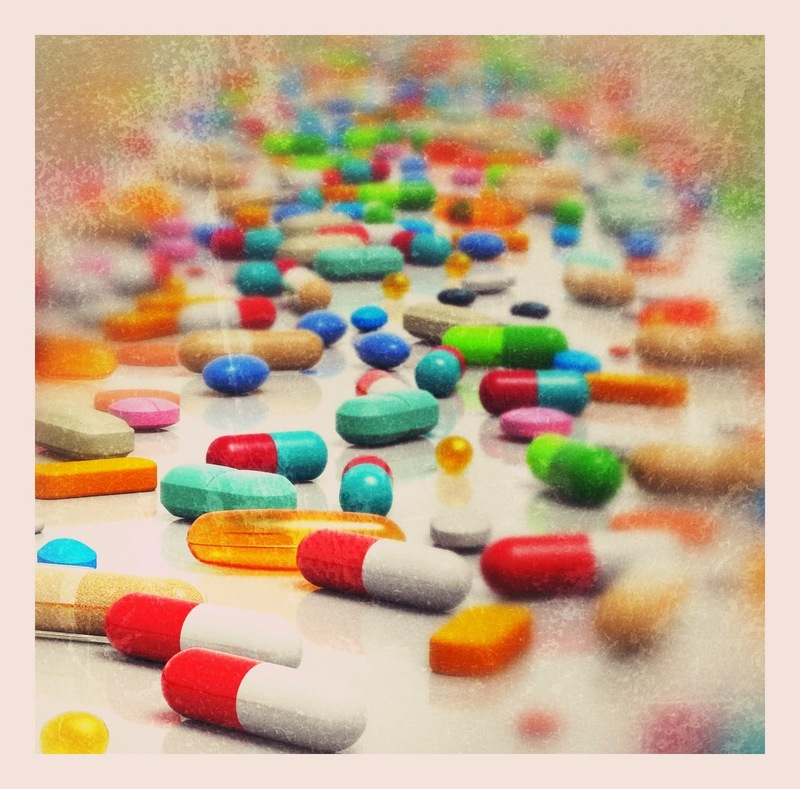 We are however still oddly drawn to the danger and charisma of the druggy, woozy world in film, on TV, in our soaps, poetry, literature and memoirs. There but for the grace of God go I…? Sometimes I wonder. There have been a few scattershot attempts at marijuana scents. Demeter’s Cannabis Flower is very simple and linear, walking a thin grassy line with little projection or depth. Fresh’s Cannabis Santal and Cannabis Rose both use the danker, mulchier aspect of weed to lift and augment the sweet woods and reefer rose respectively. Lots of people claim Black Afgano by Nasamotto as the definitive spicy stink of cannabis resin; plenty more disagree. It’s a scent I really dislike, all I know is the few times I have tried it on my skin, I have become nauseous and possessed by the need to tear my scented arm off and throw into a loch. The problem with all of these interpretations for me is one of mystery and mood. The cannabis facet is an olfactive novelty, used to draw you in, suggesting a scent of opiate attractions. The truth is sadly a more mundane and generic grassiness embedded in woods and floral notes. Only Black Afgano attempts to push the boundaries by imagining a muddy, static haze of darkness and inertia however much I dislike it. Junky is more a state of mind, an exploration of continued habit, an addictive consumption. I have been wearing it over and over, so intrigued by the bleak bite of the top before the notes bloom out like heroin in the blood stream, calming and flooding the synapses. It is one of the oddest fragrances I have bought for a while, but then I knew that Anaïs Biguine’s take on Burroughs would always be fascinating. ‘If you have never been addicted, you can have no clear idea what it means to need junk with the addict’s special need. You don’t decide to be an addict. One morning you wake up sick and you’re an addict’. This quote from the prologue of William Burroughs’ Junky is as stark and uncompromising as the man was to be for most of his life. 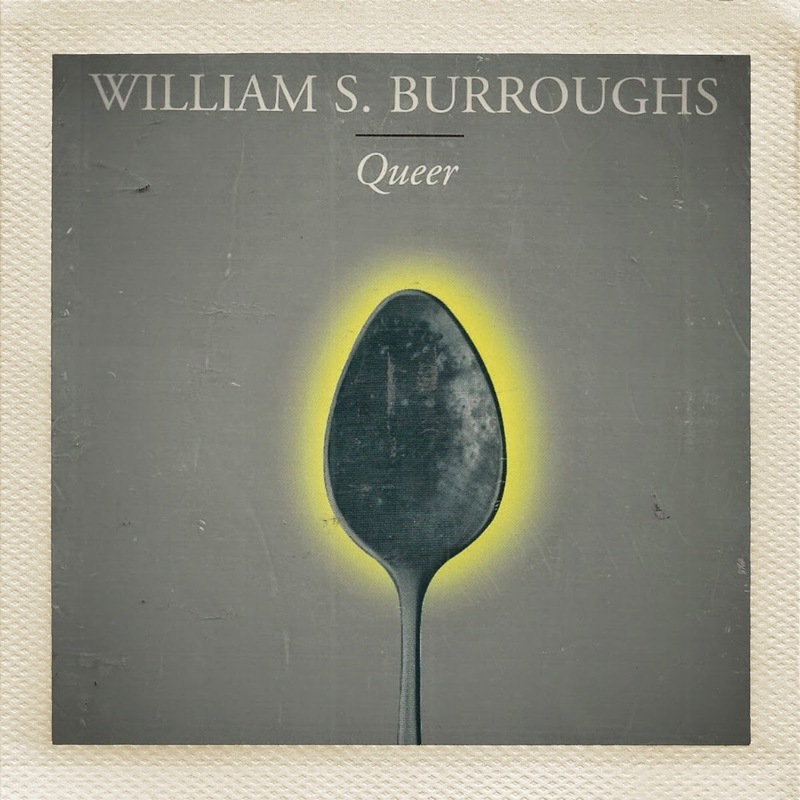 I read a lot of Burroughs when I younger, perhaps a little too young, but growing up conflicted and furious, books like Queer and Naked Lunch offered a powerful and warped alternative vision of life that make you realise that perhaps your brain is not quite so sick and twisted after all. 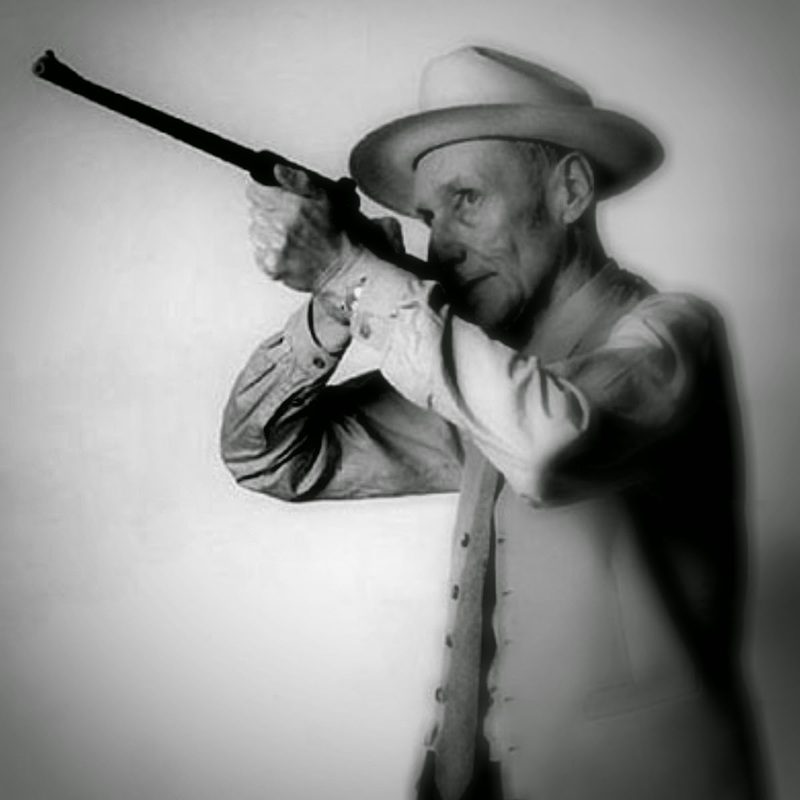 Burroughs died in 1997, aged 83, outliving Neal Cassady, Ginsberg and Kerouac. 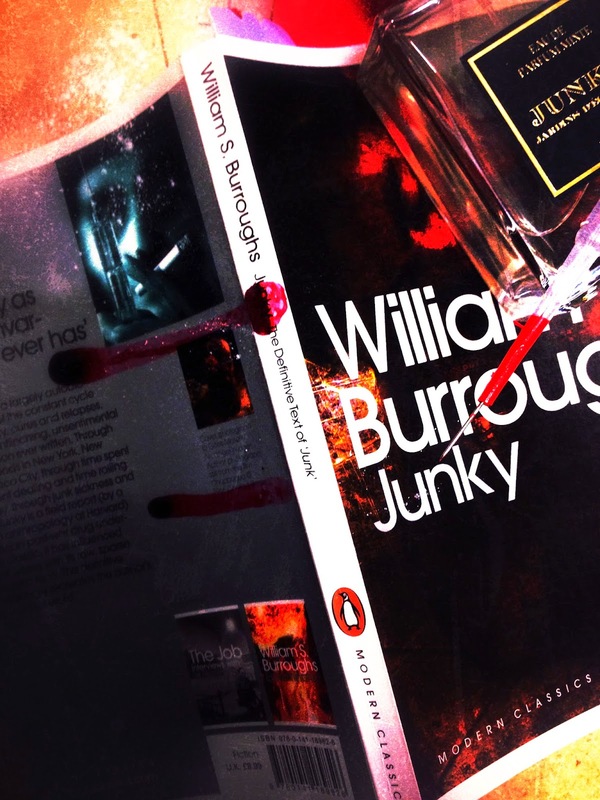 Junky and Queer are conventional in build, yet still reek of the bodily, narcotic and hallucinogenic motifs that would characterise later works such The Ticket That Exploded, The Nova Trilogy and the hauntingly confrontational triptych of Cities of the Red Night, The Place of Dead Roads and The Western Lands. These were created in a conventional narrative form and then cut up and re-assembled into a much more demanding and complex series of scenarios, themes and happenstances. Burroughs’ work is undoubtedly an acquired taste; he makes you work hard for you commitment and often repels conventional understanding. 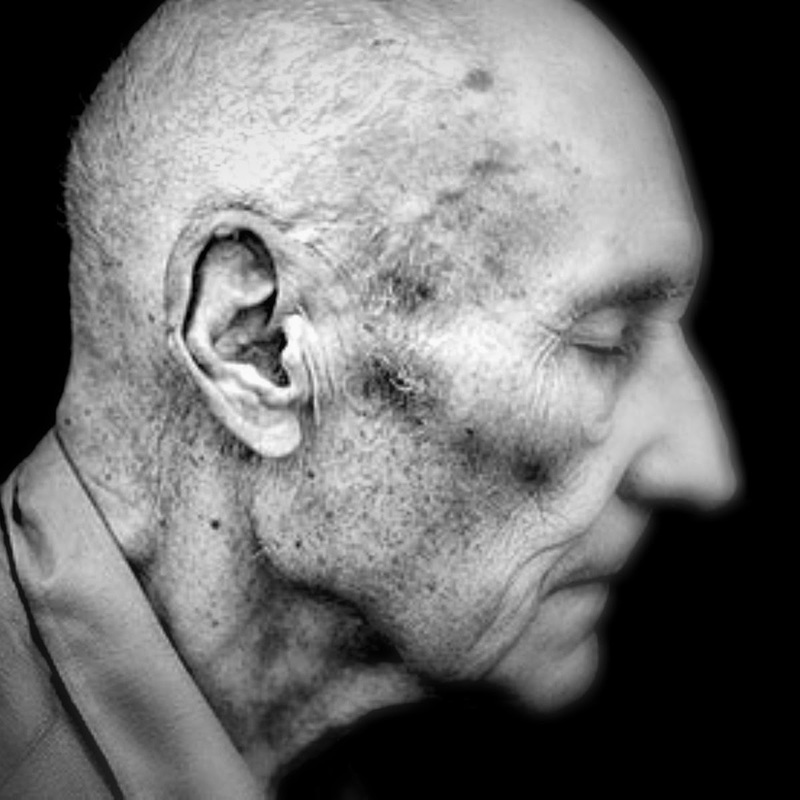 "I am forced to the appalling conclusion that I would have never become a writer but for Joan’s death ... the death of Joan brought me into contact with the invader, the Ugly Spirit, and manoeuvered me into a lifelong struggle, in which I had no choice except to write my way out"
I celebrate Burroughs’ iconoclastic nature, his fearless shakedown of sexual and obsessive mores. Junky is a peerless book, relentlessly seedy and thrumming with the sparky vernacular of the everyday hustler, pusher and addict. But the characters are restless, searching always for something, a hit, a high, oblivion, excitement, a semblance of love snatched amid broken veins and blood-stained cottons. Anaïs Biguine has tempered and assuaged the seedier, stained aspects of compulsion and need in her extraordinary composition. Junky is both homage and antidote to the ravaged excesses of Burrough’s damaged souls, the candymen, bed bugs and hop-heads. The more I wear this inky floral wraith of a composition, the more I realise how unconventional and skilful the scent is. The potency of the couture gardenia note dressed up in iris folds and violet dust belies the potency of the expansive cannabis resin note that gets richer and deeper as it settles on the skin. After an hour, the whole style of the scent has shifted again, with the woods, moss and myrtle in the base lifting anchor and drifting with worn practiced ease over the skin and rubbing up against mulch and blooms. As the scent wears through the hours you find yourself catching fragments of root and petal, woods, smoke and crushed bitter berry. For a moment it seems somewhere else, on someone else, passing you by on a damp street corner, but no, it is your skin, cloaked in addiction and bruised alcohol. In the pursuit, collection and wearing of exquisite perfume, many of us will recognise the language of addiction and craving. The rush of beautiful acquisition, that needle-sharp high of first application, the obsessional desires to own and covet rarity and oddness. Junky is the shape-shifting odour of want. A sublime essay in dissolute elegance and dark floral need. After all, my skin craves scent like a vein craves silk, salt, noise, glass. Candyman…. bring me scents to die for and I promise I will stray no more.